Breakfast menu for The Bluebird Cafe in Logan, Utah. 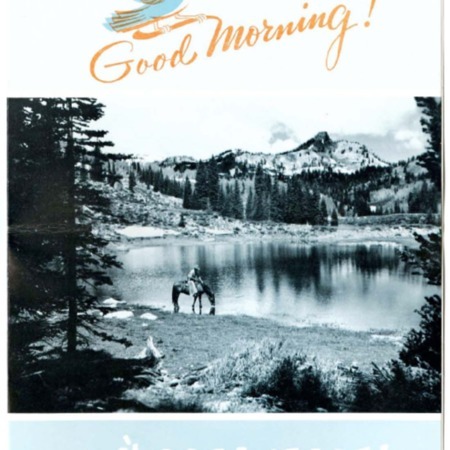 Includes image of cowboy on a horse at Tony Grove Lake in Logan Canyon. Breakfast menu includes juices, fruits, club breakfasts, waffles and hot cakes, meats and eggs, cereals, toast and rolls, and beverages. Prices also included. 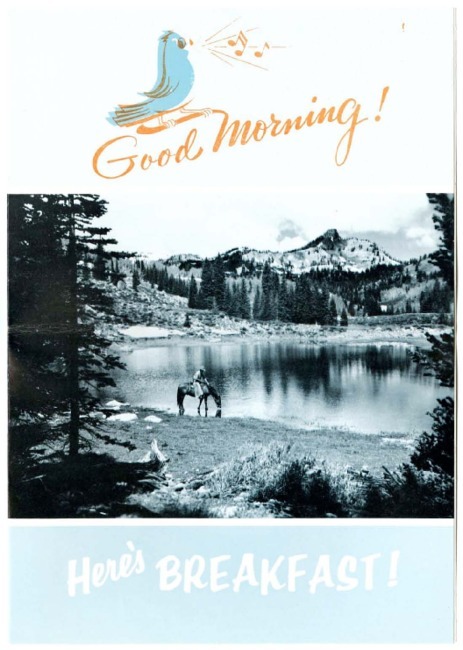 “The Bluebird menu, 1968,” Highway 89, accessed April 22, 2019, http://highway89.org/items/show/10260.